Italian brand fi'zi:k have long been known for their superb range of cycling shoes, saddles and components. In 2018, they have branched out further, with the innovative new range of fizik Link bib shorts. The name 'Link' comes from the fact that the range of bib shorts is intrinsically tied to the existing fi'zi:k saddle range, and the pioneering 'Spine Concept'. The fizik Spine Concept is at the heart of the science of personalisation that the brand is based on: dividing riders into three categories (Snakes, Chameleons and Bulls), based on their level of spinal flexibility and pelvic rotation. Snakes, being the most flexible, demand a longer narrower saddle that supports their pelvis when their back is arched over in a racing tuck. Bulls, the least flexible, demand support for their seat bones whilst they are in a more upright position on the saddle. Chameleons are the mid-way category, demanding a mixture of both attributes. The cobbled Spring Classics races are notoriously hard to ride. I interviewed World Champion, Paris-Roubaix and Tour of Flanders winner Johan Museeuw. These are his top tips for riding on cobbles, and taking on the Spring Classics. Johan Museeuw was World Champion in 1996, he won Paris-Roubaix three times, and he won the Tour of Flanders three times. 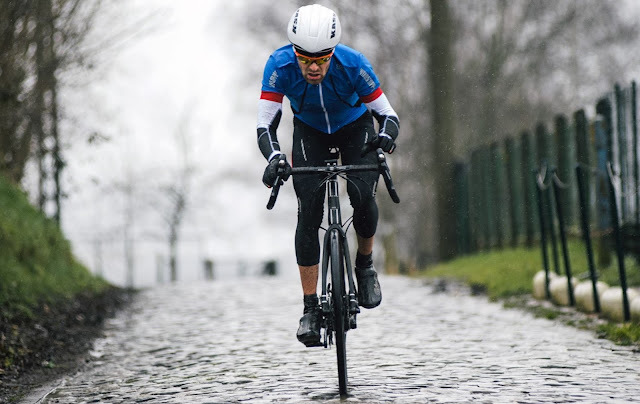 With this incredible parcours, he is undoubtedly one of the best riders to share his advice on riding the Spring Classics, whether you are a racer or a sportive rider. Tip 1 - Tyre pressure and size for riding cobbles"Normally, everyone is riding with a tyre pressure of 7 to 8 Bar (100-110 PSI). But, for the Spring Classics and Paris Roubaix, depending on your weight, this changes: we ride 5 to 6 Bar (70-85 PSI)." A lower tyre pressure allows the shocks of the cobbles to be absorbed, and for better grip on the uneven surface. I have tried a far few pairs of cycling trousers: from waterproof fabrics, to Lycra blended denim. 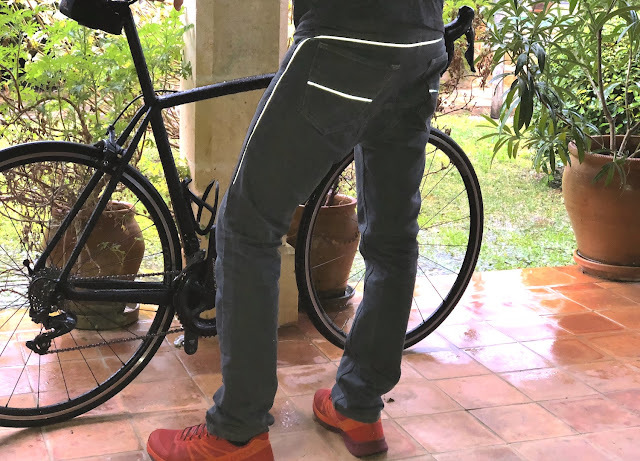 The Resolute Bay Cycling Jeans are one of the smartest, and most interesting pedal-focused pairs of casual jeans that I have come across. The NX2 Grey Slim Fit Cycling Jeans are made with bicycles in mind. They are built from Cordura Denim, which makes them significantly more durable than your traditional cotton denim; that is important, given that the crotch of jeans takes quite a battering in the saddle. Despite the Cordura blend, the NX2 cycling jeans look and feel like a smart pair of casual trousers. The close fitting cut, and the classic five pocket design make them as suitable to a night out, as to a ride across town. A gilet is one of the most versatile and useful pieces of apparel in a cyclist's wardrobe. It provides wind protection and added insulation, and is especially good for changeable weather conditions. 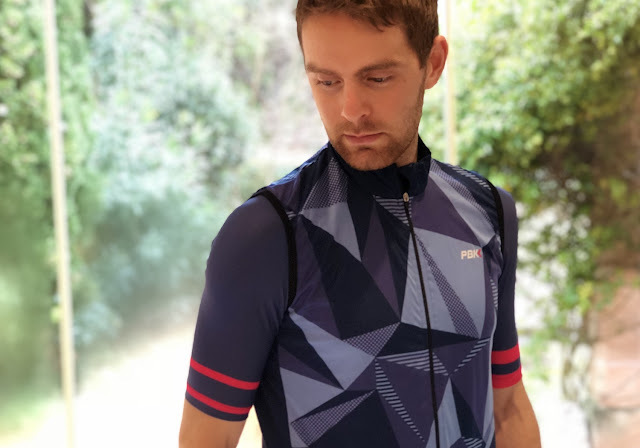 In this review, I take a look at the new gilet in the ProBikeKit own-brand cycle clothing range. The PBK Poligo Gilet is a value offering: intended to provide an affordable protective layer that performs well. The cycling gilet is designed with a windproof front and shoulders, and a mesh back panel. It provides notable protection for your core, while also venting and breathing well through the open fabric on the rear. The full length zipper is useful for temperature regulation, and for ease of fit. One slight negative is that I have noted a tendency for the zip to catch on the zip baffle at times, making it harder to zip up on-the-fly. If tasked to select one true 'super-fuel', I would undoubtedly pick the humble oat. The ancient grain has fuelled more rides and more adventures than I can possibly count. 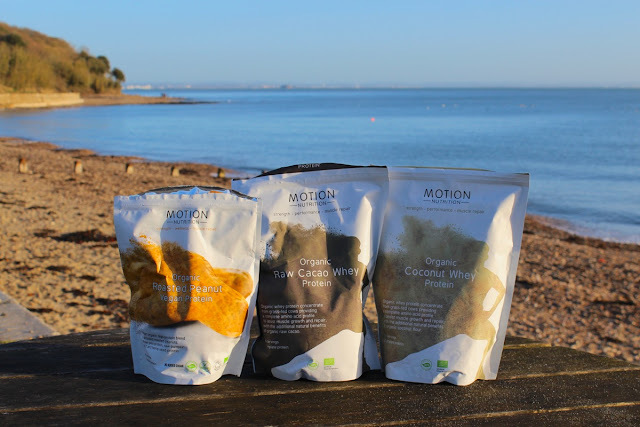 Whether in the form of porridge, muesli, flapjack, or oatcakes; oats really are the ultimate endurance fuel. 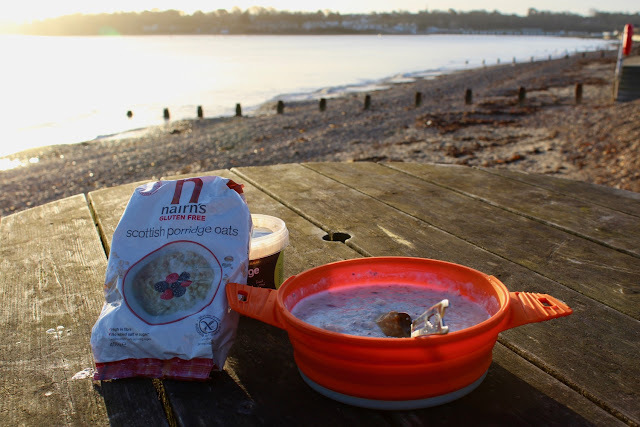 In Praise of Porridge When I think back to past challenges, there is one common factor... porridge. It was porridge I ate at 4am, when I started the 'St Boniface Down Everesting'. Porridge was my fuel of choice at midnight, in the pouring rain, midway through the 300 mile Trafalgar Way ride. Even in the south of France, on the final day of the #7Countries7Passes, it was porridge that kick-started the epic ride. Porridge is the without question the king of breakfasts. We put our bodies through a tough time when we are out on the bike. Our muscles might feel the strain, but you should also consider what the wind-burn, abrasion, and cold temperatures can do to your skin. Here are 7 Tips for looking after your skin, when you are enjoying an active outdoor lifestyle. 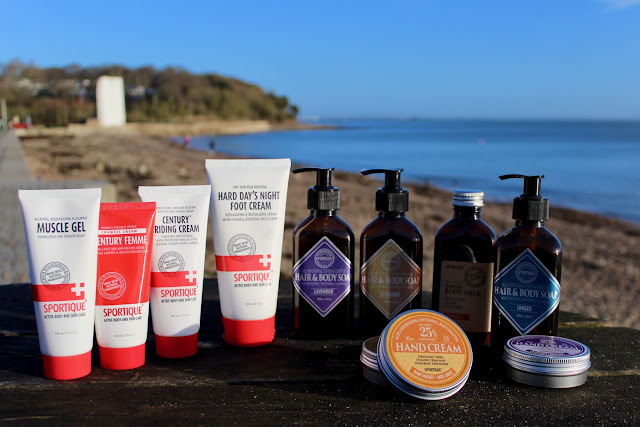 My featured brand in this piece is the Czech/Swiss brand Sportique, who make by far the nicest and most effective range of natural skincare products that I have found to date. 1 - Lip Balms and Barrier Creams Applying a lip balm and the Sportique Elements Cream are two of my pre-ride rituals. The lip balm helps to avoid painful chapped lips, and the Elements Cream provides a unique natural protective barrier from the wet, cold, and from harmful UV rays. Combining the ease of transport of a wheeled carry-on bag, with the portability of a rucksack, makes the Thule Crossover Carry-on 56cm/22" holdall one of the most versatile and useful kit bags imaginable. If you are a frequent traveller, the chances are that you try to squeeze as much as you can into your carry-on luggage, rather than deal with the potential delays and problems of the baggage re-claim belt. The consequence of packing the compact bag to bursting point though is that it often weighs a tonne, which means wheels are your best option for lugging it around. The problem with wheeled bags is that you can't easily carry the bag on your bike to the train station, and things like stairs and busy pavements become an obstacle. The solution? A wheeled bag, which also has rucksack straps. Self-shot and edited by Ben Page, whilst cycling around the world. This short film charts his winter journey into the Canadian Arctic. Compelled by Jack London’s assertion, that "any man who is a man can travel alone", Ben sought an adventure of perfect solitude. Yet, he came to realise the harsh truths of travelling in such a formidable environment were a long way from the romantic images of this land. 'The Frozen Road' is an honest reflection on Ben's solo trip. Of the wonder, terror, and frustration experienced when riding through the unforgiving emptiness of one of the world's 'last great wildernesses'.